Any doctor who was awarded as the ‘Doctor of Optometry’ (OD) degree is known to be an optometrist. The optometrist examines as well as checks the vision and health of the eyes to rectify if there are any refractive errors using eyeglasses and contact lenses through prescription. In Australia, optometrists are licensed for providing medication based on a prescription for eye health related problems and diseases. Anyhow, optometrists are not licensed or trained to do eye surgery but may attend the pre- and post-operative care during an eye surgery performed by an ophthalmologist. There are few prerequisites to be fulfilled for being labeled as a licensed optometrist. In comparison to many other dental and medical students, they have minimum qualifications to meet. 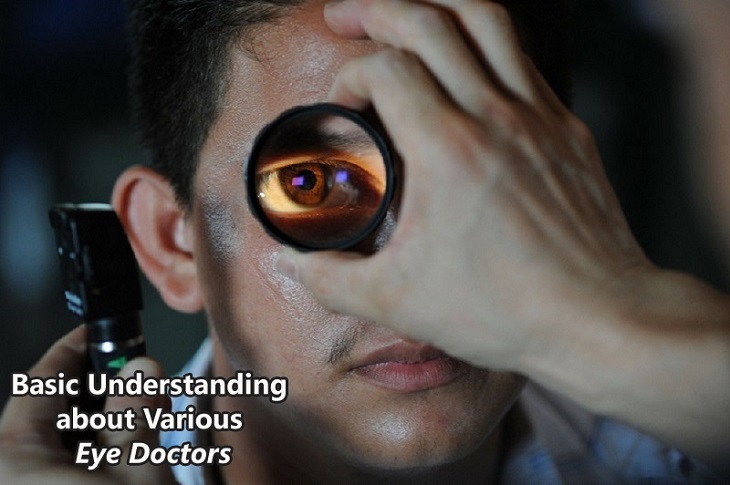 An ophthalmologist is slightly different than an optometrist, as an ophthalmologist earns a doctor (MD) or a Doctor of Osteopathic Medicine (DO) specializing in eye and vision care. Here, the degree and the job role differ between these two as the ophthalmologists are trained to perform surgeries, diagnosis, prescribing medicines. To bring a right analogy, an optometrist can be compared to a general dentist and an ophthalmologist can be compared to an oral surgeon. One should not get confused with the optician, who is not an eye doctor but are important to give proper eye health care. Opticians have the qualification and ability to provide eyeglasses as per the prescriptions are given by an optometrist or an ophthalmologist. The choice between an optometrist or an ophthalmologist depends upon the health condition of your eye. If your eyes are healthy enough and if you think they don't need specialized medical attention, then any kind of doctor can help to serve the purpose. As both ophthalmologists and optometrists perform regular eye tests and both are trained to diagnose, detect and manage eye diseases with medical or non-medical treatment. There are many tips and suggestions available to combat eye diseases, with a proper diet plan. Eyes’ health enriching food includes a dietary plan for maintaining and improving healthy eyes simultaneously as it helps to prevent, suppresses and slow down common eye problems. This book focuses upon specific food intake which offers quality nutrients for your eyes. It also throws light upon some useful tips, recipes, and delicious meal ideas. Eyes’ health enriching food for Kids: It is another guide to provide a nutritious diet for the eye health of the kids. It mainly explains about different types of nutrients required for healthy-eye food, which are homemade and can even be prepared by children themselves. It is always better to follow the pecking order in treating the eye disease you got, as it may unfold all the information about your problem. Primarily, it is quite essential to consult the primary care eye doctor, who usually happens to be an optometrist. Based on your concern, the optometrist prescribes needed medicines or contact lenses. If needed the optometrist refers to a specialist who happens to be an ophthalmologist, who can prepare a schematic diagnosis and treatment plan for you. Initially, the ophthalmologist tries to solve the problem medically, without the emphasizing any surgery. If needed, he/she may go ahead with the surgery as per the condition of the patient. Later on, Thereafter, if its necessary primary eye care doctor needs to be consulted for regular opinions and observations. Overall, it is the basic step to get a thorough knowledge and idea about your eye problem. It is always recommended to make a regular visit to whichever possible option as mentioned above for getting the right treatment at the right time.